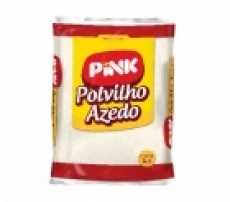 Pink https://www.zumub.com/images/large/products/alnutri_pink_polvilho_azedo_1kg_LRG.jpg 5PNK8109 There are no reviews yet. For centuries now, cassava has been a popular staple food for indigenous people living in different parts of Africa, Asia, and South America. Today, cassava starch is prized for its rich calorie content and its gluten-free nature. Create a variety of delicious gluten-free recipes with Brazilian Cassava! Try this Brazilian Cassava by Pink and infuse the natural goodness of real cassava into your favorite recipes! Have a question about Sour Cassava? What is it, what does it do, how and when to use or something else? Ask us. “Sour Cassava 1kg” is currently out of stock. Enter your details below and we will let you know when it's back in stock.